Wilma’s life started like the women in question, born into the rural backdrop of Mindanao in the Philippines in the height of conflict, what is considered accessible to most was always beyond reach not due to family constraints but environment. At the age of 12 her mother came to her with a difficult proposition, to leave everything she knew and the security of what is familiar, for a better future. The good news, it worked for the best. Wilma moved to Sweden where she was educated, before moving to Italy to study fashion at the best schools in Milan. Over the past 15 years, Wilma has worked with top haute couture of Italy, followed more recently by working in a global sourcing agency for fast fashion. The dream of “I Want to Smell The Perfume” has been at the forefront of Wilma’s mind for the past 10 years, and in 2016 she made the conscious decision to follow her dream and come back to the communities of her childhood to begin providing better opportunities for others. Priliscya came from family that is full of local diversity. Her mother is Sundanese- Bantenese which has gentle character, and her father family is originally from Lampung Pesisir, which has the rougher side. Knowing that her maternal grandma was living alone in Garut, Priliscya decided to stay with her grandma when she was teenager, this was a very special time in her life and she contributes much of her outlook to learning to the wisdom and lessons of her grandma. Her grandma always taught her the greatest achievement is to give back to society. Priliscya took a Garment Business and Technology major at her college, and during that time she was also active in several organisations in education. Priliscya likes design, for her it’s a fusion between science and art. Nurul was born as the first of 4 siblings in Garut, West Java, where she was grew up as a child and teenager. Originally interested in fine art, she spent 2 years studying a Product Design major before switched to Garment Business and Technology in a textile technology college. Nurul was working as a fashion product developer in a global sourcing company before landing a position as Program Developer in ‘I Want to Smell The Perfume’. 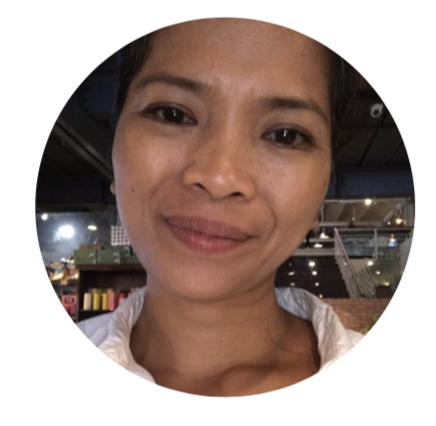 Nurul’s eye for detail and passion for excellence has allowed her to work on new product design which helps the company continually evolve. Anita’s first love was being a teacher. It was also teaching which brought her far from home to the California bay Area as a Fulbright Scholar, where she was responsible for managing and teaching Indonesian 101 classes for Stanford University students. Returning home instead of pursuing a career in teaching, Anita started working for her newfound love, a local NGO in corporation with the Qatar Foundation. Later, Anita met the love of her life and got married. She moved to Bitung where she started nesting and being crafty. Anita is happily married although she often missed the high time of working life. When Anita met “‘ Want to Smell The Perfume’, it was perfect as she could incorporate her experiences and reignite her passion for teaching. Yanti earliest memories belonged to her grandmother, who raised her in rural Tasikmalaya. She grew up in Kampung Bendungan Melayu, Jakarta, and joined ‘I Want to Smell The Perfume’ as the youngest woman in Tugu Selatan’s micro organic community back in 2018. Due to circumstances, she could only go through formal education until junior high school to support her family. 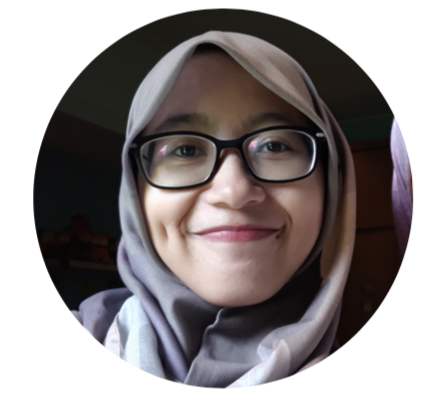 Yanti’s first job was at a local sport committee, responsible for spreading pamphlets about occurring events. Later she worked in garment industry, from factory to factory. Now she’s joining 'I Want to Smell The Perfume’ as an apprentice which will help to sharpen her skills and pursue her dreams.